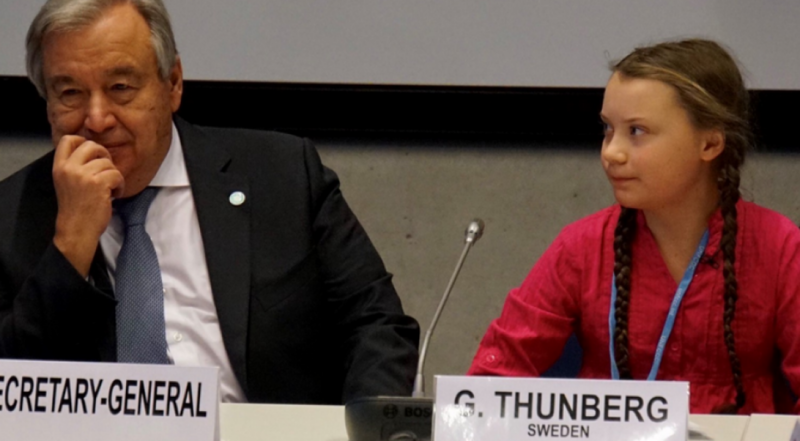 Read the full contribution from young climate activist, Greta Thunberg, to the Secretary-General meeting at COP24. “For 25 years, countless people have stood in front of the United Nations climate conferences, asking our nations’ leaders to stop the emissions. But, clearly, this has not worked since the emissions just continue to rise. Rich countries like Sweden have to start reducing their emissions by at least 15% every year to reach the 2 degrees target. You would think the media and every one of our leaders would be talking about nothing else – but no one ever even mentions it. Furthermore, does no one ever talk about the aspect of equity clearly stated everywhere in the Paris Agreement, which is absolutely necessary to make it work on a global scale. That means that rich countries like mine need to get down to zero emissions, within 6-12 years with today´s emission speed, so that people in poorer countries can heighten their standard of living by building some of the infrastructures that we have already built. Such as hospitals, electricity and clean drinking water. Because how can we expect countries like India, Colombia or Nigeria to care about the climate crisis if we, who already have everything, don´t care even a second about our actual commitments to the Paris agreement? So when school started in August this year I sat myself down on the ground outside the Swedish parliament. I school striked for the climate. Some people say that I should be in school instead. Some people say that I should study to become a climate scientist so that I can “solve the climate crisis”. But the climate crisis has already been solved. We already have all the facts and solutions. Today we use 100 million barrels of oil every single day. There are no politics to change that. There are no rules to keep that oil in the ground. So we can´t save the world by playing by the rules. Because the rules have to be changed.